Today's investment climate offers tremendous challenges as well as opportunities. 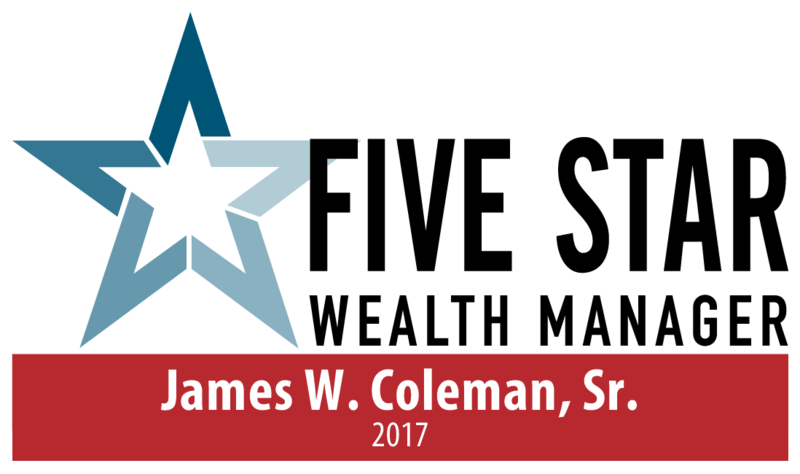 At Coleman Financial Advisory Group LLC, we help clients navigate through the challenges and seize those opportunities that make the most sense for their situation. As financial planning professionals we employ a process that helps us to identify and prioritize your goals and objectives, analyzes your current and future situation, propose realistic and comfortable solutions, manage your assets toward your goals and service you as your needs change. We have helped many clients for over 25 years by assisting them with asset management, retirement income strategies, reducing investment risk, protecting assets, leaving money to children or grandchildren all while living a financially comfortable life today.